Water view lot located on West Dogwood Land that is ready to build on. This corner lot has already in place both Community water meter and an electricity meter which offers 200 amp of service. It offers a level building site with several large Oak trees along with a great water view of the Houston County Lake. 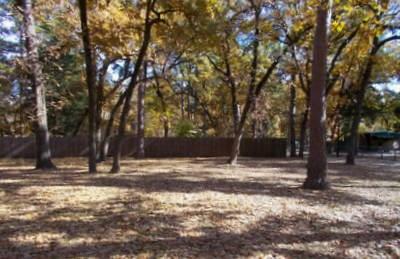 It also offers a wooden fence on two sides giving you more privacy and a total of .403 acres of land. Call us to see this property today! © 2019 Houston Realtors Information Service, Inc. Information is provided exclusively for consumers' personal, non-commercial use, and may not be used for any purpose other than to identify prospective properties consumers may be interested in purchasing. All information provided is deemed reliable but is not guaranteed and should be independently verified. Listing courtesy of Tyer Real Estate.